Tendonitis, also known as tendinitis, is the inflammation of a larger scale tendon and the ligaments that attach the tendon to the bones in your body. It is more common to occur in the upper part of the body such as the wrist, knee, ankle or elbow. Tendinitis patients suffer from repeated motion of the same tendons over a period of time. Cashiers, tennis players and computer typists are some of the jobs that can cause tendinitis. Herbal and complementary treatments can help the body heal from tendonitis pain and inflammation. These natural tendonitis treatments will help to repair the affected area when used in combination with resting the area. Some cases also respond well to ice treatments. It is best to discuss the best therapy and course of treatments for your case with your doctor or healthcare provider. St. John’s Wort (Hypercum perforatum)is effective in two ways. Topically, it can help as a massage oil. Internally, it can help ease tension. 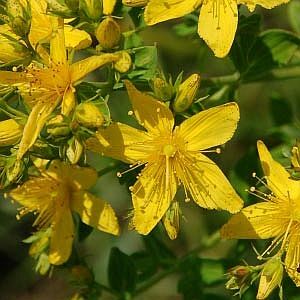 St. John’s Wort does interact with many medications, so please check with a health care practitioner before taking it internally. Arnica (Arnica montana) is very useful in treating pain and swelling of joints and other tissues. It is used as an oil, ointment, or gel. Arnica is often combined with other herbs, such as St. John’s Wort, Willow, Comfrey as well as others for best results. Cat’s Claw (Uncaria guianensis) is useful for the treatment of the pain associated with tendinitis. It is taken for short term use, as longer use can cause dizziness, headache and vomiting. White Willow (Salix alba) is used to treat the pain. It is nature’s aspirin. People who are allergic to aspirin products should not take willow bark. Comfrey (Symphytum officinale), with it’s high allantoin content can help repair damaged tissues. Comfrey should not be taken internally. Ginger (Zingiber officinale) is an anti-inflammatory herb, and has pain relieving properties. Ginger works by slowing the production of the inflammatory compounds prostaglandin and leukotriene. It also helps to block the transmission of pain signals. It can be taken as a pill, or used as an essential oil in a carrier oil. Ginger brings warmth to the area. Boswellia, (Boswellia serrata) is a herb from India that is traditionally used as an anti-inflammatory. Similar to conventional non-steroidal, anti inflammatory drugs, boswellic acids possess its own anti inflammatory response characteristics. Boswellia, is also known as Frankincense. To make a massage oil, blend 20-30 drops into 4 ounces of a carrier oil. Boswellia is normally mixed with other essential oils for best results. If taking supplements internally, follow package directions. Bromelain, an enzyme that comes from pineapples reduces inflammation. Bromelain may increase the risk of bleeding, so people who take anticoagulants (blood thinners) should not take bromelain without first talking to their doctor. People with peptic ulcers should avoid bromelain. Turmeric is sometimes combined with bromelain, because it makes the effects of bromelain stronger. Vitamin E (400 – 800 mg a day) and essential fatty acids, such as fish oil or evening primrose oil (1,000 – 1,500 IU one to three times a day) to reduce inflammation. Vitamin E, fish oil, and evening primrose oil may increase the risk of bleeding. If you take blood-thinning medication, ask your doctor before taking any of these supplements. Glucosamine can help to improve and restore damaged cartilage and tissues. Glucosamine is a good choice because it has little side effects. Ice is used directly after the injury. The cold will help ease inflammation. Resting the area is important for long term healing. Rest the area as long as possible. Temporarily immobilizing the affected area will help with pain. Try using a splint or sling. Be sure to follow the advice of your doctor for immobilization of the area. Physical therapy would include strengthening and range of motion exercises to help with flexibility. These exercises would be done after the inflammation has gone down. Massage can be beneficial in stimulating blood flow to and from the area. Be sure to use gentle massage, as deep tissue massage can cause more pain. Acupuncture can help with pain and inflammation. Acupuncture helps to the qi (pronounce “chee”) in your body. Stagnant qi can cause many unbalanced systems in your body. Reiki or other energy healing can help with both pain and inflammation. 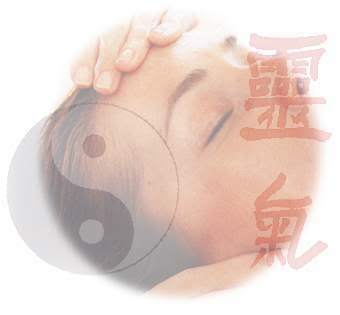 Reiki works much like acupuncture in moving qi around the body to become more healthy.